It's taken Hollywood three years to bring a movie on the Boston Marathon bombing to the screen, and now there are multiple versions on the way at the same time. 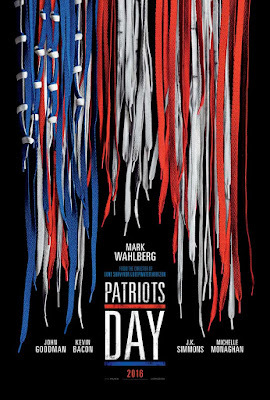 The first and biggest will be Patriots Day, which reunites the Lone Survivor duo of director Peter Berg and star Mark Wahlberg. While a trailer is likely to follow soon, first is a simple teaser poster featuring the good ol' red, white, and blue. 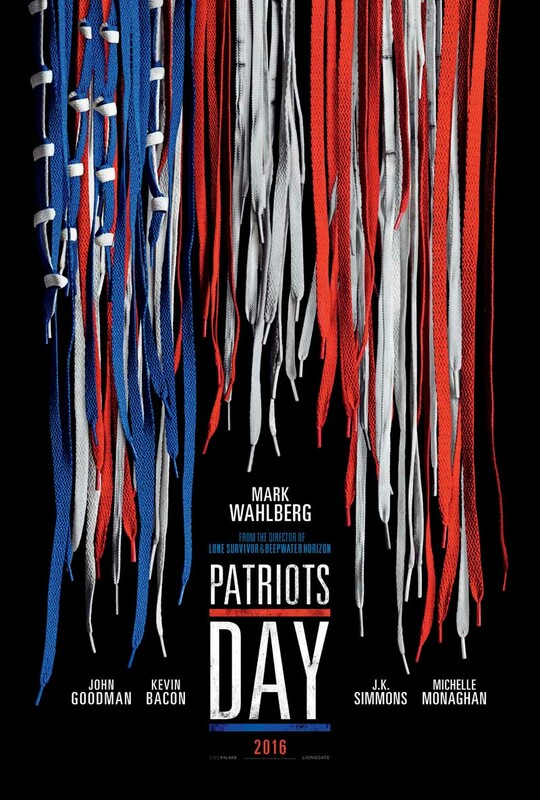 The image shows multi-colored shoe laces draped in the shape of a tattered American flag, Wahlberg headlines as Police Sgt. Tommy Saunders who joins first responders, investigators, and survivors to track down the terrorists following the April 15th 2013 attack. John Goodman, Kevin Bacon, Michelle Monaghan, J.K. Simmons, and Melissa Benoist co-star. Patriots Day opens in limited release on December 21st 2016 before a national run begins January 13th 2017.